2. Take oil , sugar, orange juice, water & vanilla essence in another bowl & mix well with hand mixer till sugar dissolves . Add orange zest. 3 Add this mixture into dry ingredients & fold the mixture properly. Add golden raisins.There should not be lumps. 4. Add water if required till the batter is dropping consistency. Add white vinegar & mix gently. 5. Pour the batter in cup cake paper moulds . Top up with chopped cashews. 6. Bake the cake in preheated oven at 180 C for 15-20 minutes. 7. 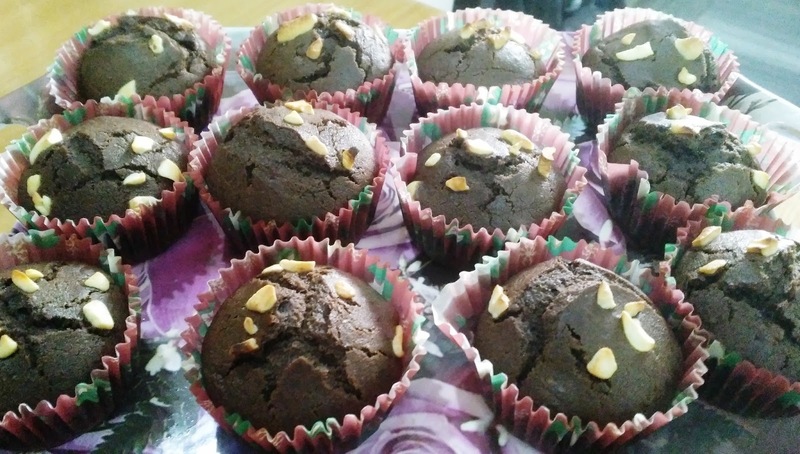 Enjoy this delicious and flavourful cup cakes with tea or coffee. This measure yields 18 -20 cup cakes.